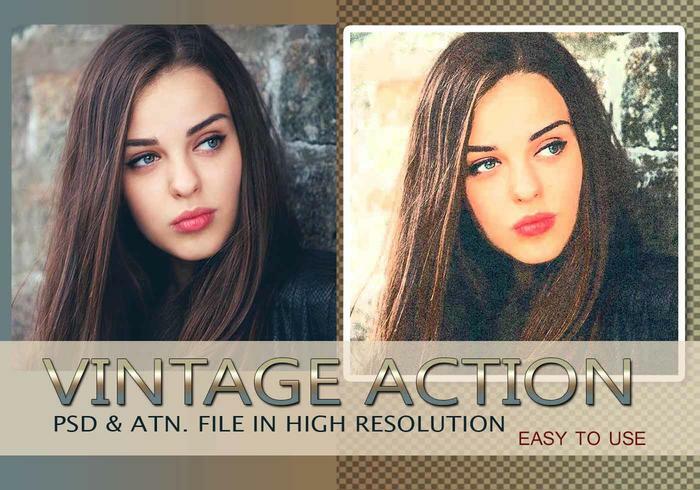 Vintage Photo Effect PSD & Action atn. Vol.7 - Free Photoshop Brushes at Brusheezy! Vintage Photo Effect PSD & Action atn. High Resolution Vol.7 Unique Vintage Photo Effect. With this Vintage Photoshop Action will take your work back in time. Your photograph will become rich, interesting, textured and framed. Works with any photo. Easy To Use. *Don't forget before use the action, Convert the photo layer to Smart Object.